A poor relationship with the gravitational field of Earth may be the cause of many health issues, or it may be a consequence of ailments that follow an illness, an accident, an unrecognized emotional charge, an overload due to repetitive movements, bad posture, personal or multigenerational traumas, etc. In all these cases, becoming aware of how we move and occupy space with our body in relationship with this greater force field of the planet allows us to modulate our habitual way of doing it. 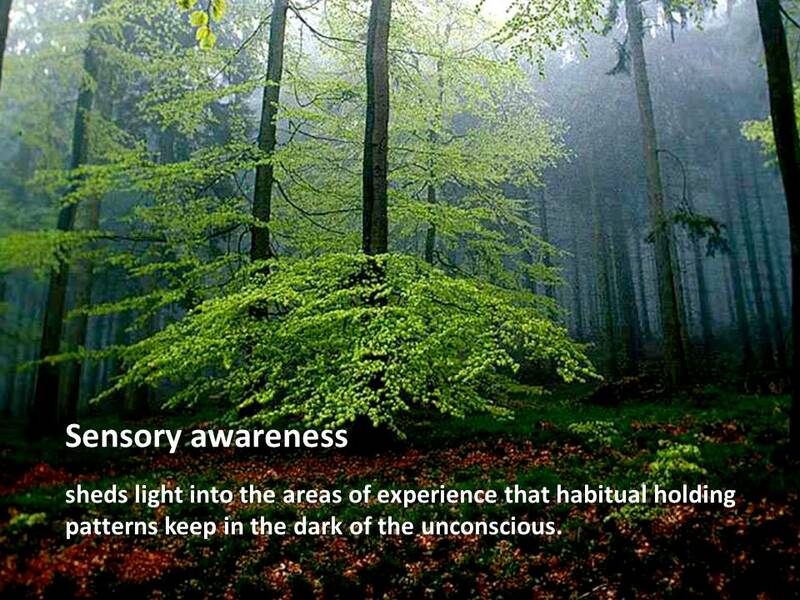 The most important tool in this task is our sensory perception which sheds light into the areas of our experience that are held in the dark of the unconscious but the tension of our holding patterns. The workshops and private sessions in DFA Somatic Pattern Recognition offer a safe space to access these areas, which we tend to hold outside our awareness by means of habitual holding. Like this, a person can find ways to rescue the part of their experience that are held captive by unconscious patterns, possessed by autonomous complexes that steer their behavior in automatic forms beyond their own will. One can find ways to move in accordance with the gravitational force so that joints, muscles and connective tissues become free of excessive involuntary holding that interferes with the physiological functions of the body on all levels: breathing, digestion, circulation, the flow of information in the nervous system, good working order in the muscular-skeletal system, hormone balance, acid/base balance, etc. Very early in life we discover that we can use the tension of our muscles to interrupt the flow of sensations we do not like. These, then, accumulate underneath the threshold of consciousness and the very tension increases their intensity even more. When we can no longer hold them back, the break out in a measure that is incommensurate in relationship with the event that set them off. Sensory perception is an essential factor in being able to orient the flow of emotions instead of being carried away by their intensity. Literally, the habitual holding of our muscles holds us away from the ground and it distances us from the person we are speaking with. This way of occupying space communicates fear in an attitude of menace of submission, which thwarts the wish and the possibilities of communication and relationship inherent in our nature. Becoming aware of the shapes in which we occupy space and we move in relationship with our environment allows us to adopt postures that facilitate communication and a good understanding. Communicating, relating and helping each other is deeply rooted in our nature. For us human beings it is indispensable to learn how to use our abilities for sensory perception in order to cultivate relationships of communication and cooperation instead of the individual and collective violence that dominates the lives of so many people in the world. The mechanisms that help us survive traumatic experiences may keep body and psyche stuck in the moment just before the impact of the worst. If they are not processed adequately, life may organize around the effort to avoid the impact of what happened and the patterns resulting from that effort may be transmitted from generation to generation, leading to repetition and reiteration of traumatizing circumstances. The starting point for change has to be the place where one is. Only from there can we explore the possible perspectives within our reach.